There are many variables that can affect how you spend your time on your wedding day. It’s important to remember to be flexible and take full advantage of all the time you have with friends and family. 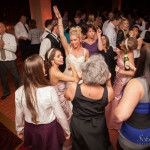 Kylie and Manny were the perfect example of going with the flow and enjoying every moment of their beautiful and wild celebration at the Marriott City Center in downtown Pittsburgh, PA.
Kylie warned me in advance that their guest list of over 250 people was going to be a fun and exciting group. 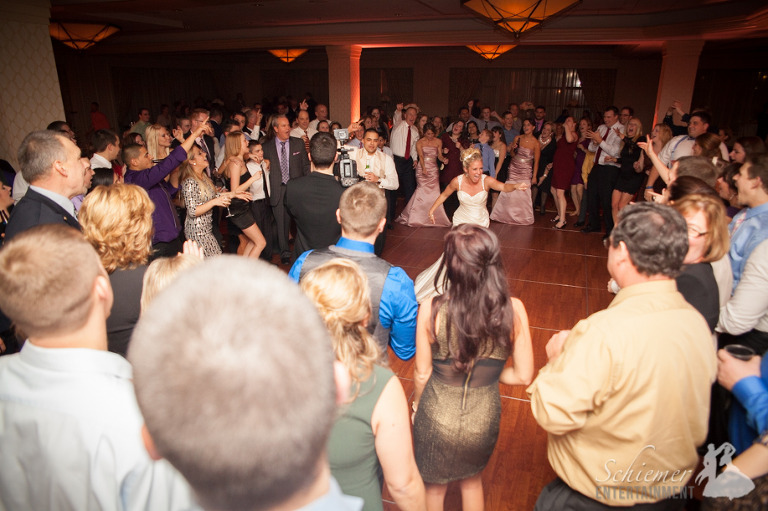 From the moment the first song began, the dance floor was never empty. Kylie and Manny chose a great set of modern music and wedding classics, so there was plenty of variety to please everyone. With so many guests having so much fun, I was thrilled to find out that Kylie and Manny had chosen to extend their time with the hotel. Even with the extra time, many of their guests were ready to head to an after hours celebration to keep the fun going long into the night. The newlyweds could not have been more fun for me to work with, and I wish them the best as they head to St. Lucia for their romantic honeymoon. Elegance is a difficult word to describe, but you certainly know it when you see it. This past weekend I was fortunate to be the DJ for the wedding of Chelsey Miller and Patrick McKenney at the Marriott City Center in downtown Pittsburgh, and everything about this perfect evening reflected a sense of simple elegance and grace. In a year when people are adding lots of trendy additions to their wedding day, Chelsey and Patrick decorated the ballroom gorgeously with striking colors and wonderful little gift boxes (with little chocolate strawberries inside) at each table setting. The newlyweds had planned ahead for an evening that would keep their guests’ attention. They staggered many of their events such as cake cutting, first dance and toasts throughout the meal service. This really kept the flow of the night moving and led perfectly up to the celebration and partying. Be sure to take a look at their playlist and see how perfectly timed everything was. 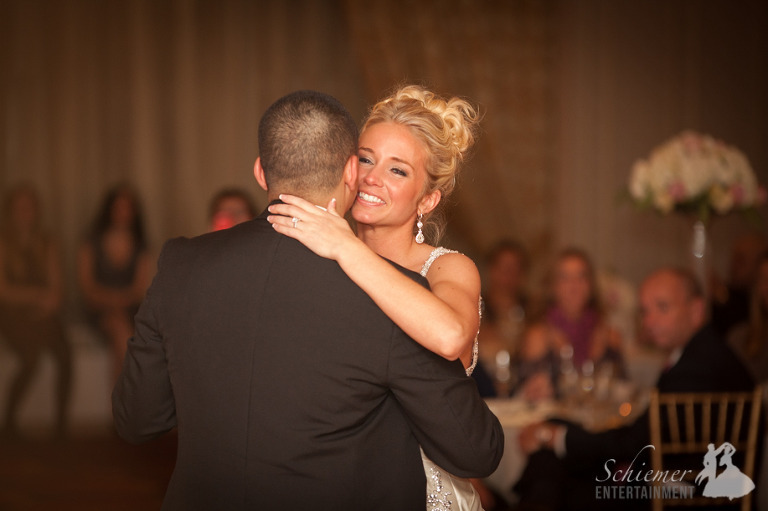 The couple’s first dance was sweet and classic. 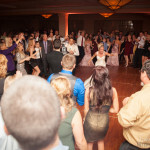 The Marriott City Center has an extremely large dance floor, which was perfect for this very excited party crowd! In the midst of the celebration, a Michael Jackson dance-off broke out…all three of these guys were amazing! No one, including myself, was ready to see this evening come to an end, so we kept the music going strong until the Marriott was ready to throw us all out. 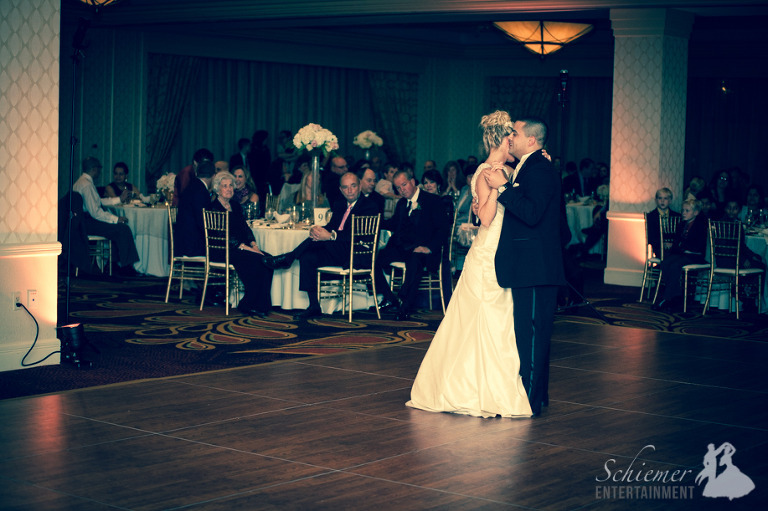 Their evening had been the perfect mix of simple elegance and amazingly wild celebration. This awesome couple is now off on their Hawaiian honeymoon for some well-deserved relaxation. During my DJ career I’ve played for corporate events, Christmas parties, and a few clubs and bars throughout Pittsburgh. 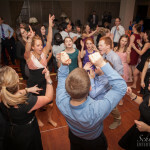 I’ve recognized that my true passion is being the DJ for wedding receptions. It’s the only type of event where each event is a unique celebration. There is an energy and excitement that only exists when friends and family gather to acknowledge of the love of two people. 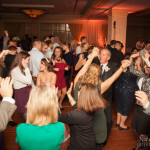 I was lucky enough to be part of the tremendous excitement that existed at the amazing party for Kelly Ryan and Todd Sabo, held at the Pittsburgh Marriott City Center. Kelly and Todd were open to input from everyone for their big day. Friends and family participated in many ways to help make the day unique. Kelly’s grandmother played piano during cocktail hour. Reverend Rick Roberts, his wife, and Dennis Hack provided a variety of entertainment throughout the reception, including a Johnny Cash impersonation. It all helped to create a warm, wild, and fun atmosphere. I was asked to introduce the Bridal Party as a giant basketball team. It really got the guests excited for the rest of the night. Kelly and Todd kept each other laughing throughout the evening. 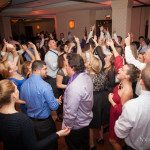 The music was filled with a fun variety of classic hits and new songs that kept everyone dancing. Kelly and Todd clearly LOVE music, which makes my job SO easy! If you haven’t guessed by now, all the guests came ready to party. 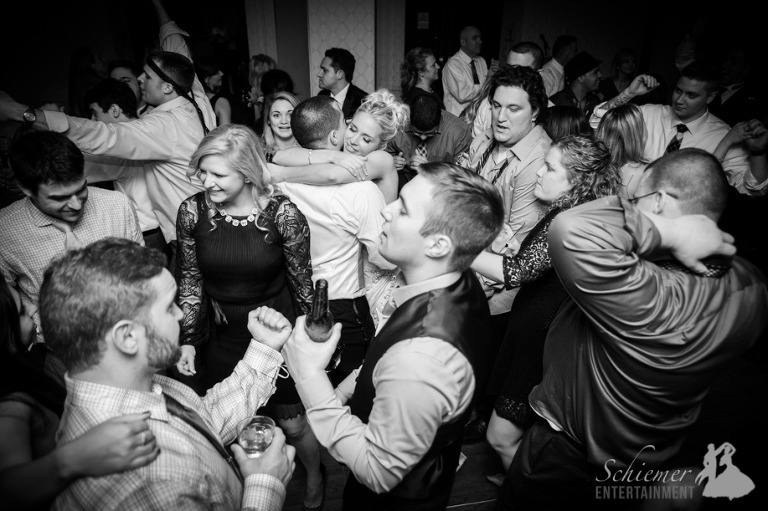 When the music started the dance floor EXPLODED with excitement. No, this is not YMCA, it’s “Hang On Sloopy” by the McCoys. Buckeye fans came out to spell O-H-I-O! Kelly and Ryan found me through Amie and Greg Donahue. I played their wedding way back in 2008. It was great to see them again. Clearly marriage suits them well! Once one of the guests busted out some glow sticks I knew I had lost control! Dancing lasted for more than three hours, Kelly was still going strong at the end of the night! 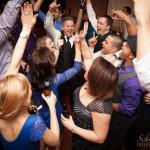 At most weddings, the guests look to the Bride and Groom to determine the overall mood of the reception. Kelly and Todd did an amazing job in conveying to their guests a feeling of overwhelming joy, happiness, and downright craziness. 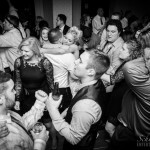 It’s always great to leave your guests wanting just a bit more, and when I announced the last dance it was obvious that no one was ready to leave. Now that they’ve thoroughly celebrated their vows, the newlyweds are off on their honeymoon in Paris and Greece.